Freldo Inc., registered in Canada in 2011, is located in Toronto, Ontario. The company has developed a new social network called Freldo freldo.com. The name was chosen not by chance and derives from the word Friend. The motto of the company is «Trust Your Friends!». Its uniqueness lies in the fact that from the very beginning it was created as a free public place, where small businesses and their customers – who are close friends and acquaintances – could communicate. At the same time, Freldo has become an example of successful implementation of new technologies in the interests of small and medium business development. The developers of Freldo have set themselves the goal of eliminating all the major problems that small business today faces in the online space. In particular, we are talking about the power of feedback, the high cost of advertising on popular Internet resources, the existing distrust of potential customers to service providers. 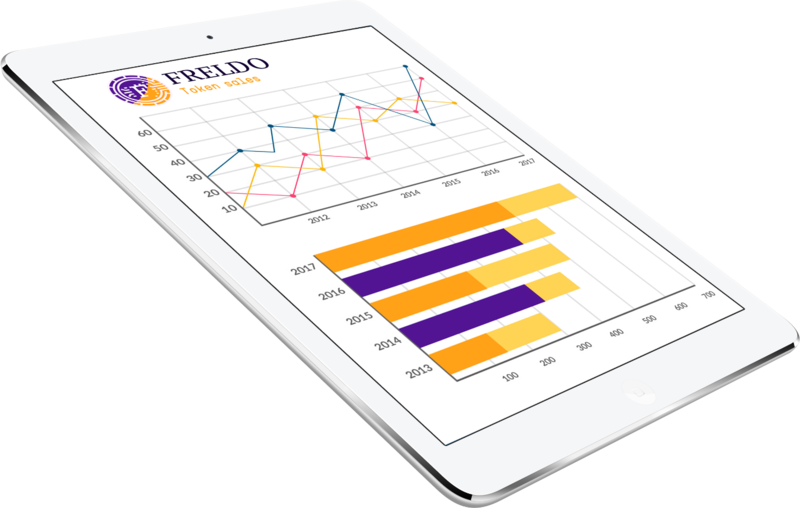 Freldo also solves problems in the field of pricing, simplifies the calculations, which positively affects both the financial condition of small businesses and the wallet of ordinary consumers. The Freldo network is now exploring who to transition to using blockchain technology, with the support of experienced specialists in this area. Thanks to these modern technologies, it will be possible to establish direct communication between the seller and the buyer, excluding any interference or influence of intermediaries. The popularity of Freldo is growing rapidly in the US and Canada. This positive trend is due to a number of objective reasons. The main among them is that Freldo’s capabilities meet the needs of the modern real market. As a supplement to the basic functionality, Freldo developers plan to make the most of the technical capabilities of gadgets available to ordinary people. For this, the FreldoApp mobile application is being developed. Communication occurs between users who personally know each other. increases the credibility of it. the interested person. This feature of social networks turns them into a more attractive channel for advertising distribution in comparison to any other Internet resources. The high interest of marketers to social networks is explained also by the fact that they can easily get feedback from the consumer. Thus, it is easier, cheaper, and more effective to study changes in real demand in the market. It is possible to react quickly to newly emerging factors, to correct mistakes in marketing policy, to save money on advertising, and to increase sales volume of the company. In a social network, you can effortlessly get real feedback about your work. To do this, it is enough just to organize honest communication in groups, avoiding those same fake reviews, which have already been mentioned above. Another undisputed advantage of social networks is that in an environment of fair communication the consumer ceases to be a simple object of influence of advertising. They become a direct active participant in the discussion of the proposed products, a source of new ideas, which in itself helps to further develop the business of sellers. However, working in this way in ordinary social networks is not easy due to the fact that through them there is a huge amount of the most diverse information, and the interests of the audience are often far from the problems of the consumer market. It is much easier to create groups with the necessary target audience in a specialized social network, which Freldo has become. Here the subject of communication is centered around services provided by small businesses. And you can create groups of sellers and their customers, concentrated in such small locations as a small city, quarter or district. Another absolute advantage of Freldo is the atmosphere of trust established between the participants in communication. Often they are familiar with each other, which does not allow them to exaggerate or downplay the merits of a particular small business, distribute fake untruthful reviews, etc. Also in Freldo there are rules according to which the user can evaluate only the business whose services they have actually used. And Freldo, for its part, creates conditions for the material interest of the participants in communication in the dissemination of objective information about the work of small businesses. Thus, Freldo has become an effective communication platform on which the consumer can easily find a supplier of quality and low-cost services. And the entrepreneur has only to make sure that their work was satisfactory to the customers. Advertising of their activities, in this case, will be effective automatically. Today, no other social network will offer you these conditions. What is “formal verification” of cryptocurrency software?